Rapper of the week goes to the Leimert Park’s section of Los Angeles’s own, Dom Kennedy. 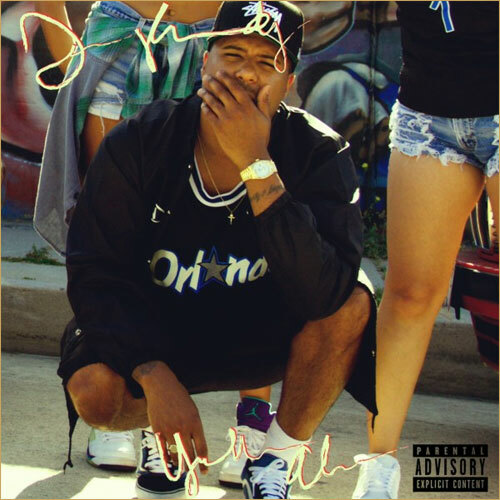 Dom Kennedy has just put out his latest project “Get Home Safely” on October 15, 2013. The project features artists like Nipsey Hussle, Skeme, and producers such as The Futuristiks, DrewByrd, and DJ Tech. Kennedy has been around since 2008 when he dropped his first project, “25th Hour”. He is well known in the underground world and has had props givin to him in the mainstream world by artists such as Kendrick Lamar, Curren$y, Wale, and others. He is known for his smooth, melodic, verses, and coining the phrases W$GT$ (west side get the money) and OPM (other people’s money) which is now an independent clothing line of his. Kenendy has surely made his mark on hip-hop and has inspired younger up and coming artists in the game such as Overdoz, Casey Veggies, Asher Roth and others. so salute to the west coast’s own DOM KENNEDY . !